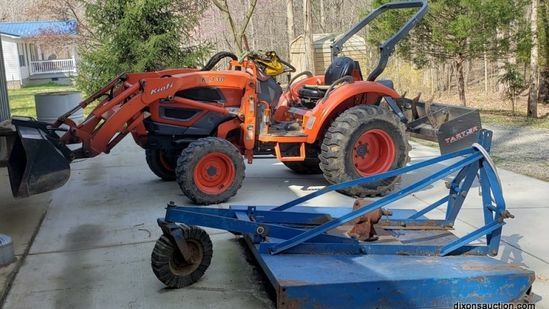 Dixon's Auction » 4/22/19 Online Personal Property & Estate Auction. Preview Date & Times: You can preview these items on Saturday 4/20/19 between 11AM & 3PM @ 53 Anderson Highway, Powhatan VA. 23139. This is the only time for preview. Checkout Date & Times: You must pickup your purchased items on 4/26/19 between 10AM & 3PM @ 53 Anderson Highway, Powhatan VA. 23139. This is the only time for pickup. You must bring help to load any heavy items. Any items not picked up are considered abandoned. (GAR) RADIAL ARM SAW; CRAFTSMAN RADIAL ARM SAW ON STAND-40 IN X 34 IN X 60 IN. (GAR) CORNER LOT; LOT INCLUDES CONTENTS ON HANGING SHELF AND FLOOR, CHRISTMAS TINS, WOOD STAIN, STOOL, LARGE CHRISTMAS TIN, METAL TOP (GOOD FOR A WORK TABLE), OIL LAMP AND SHADE, VINTAGE TEXACO OIL CAN, GAS AND DIESEL CANS,ETC. (GAR) CABINET; PINE CABINET BASE WITH 2 DRAWERS AND 2 DOORS, MEASURES 37 IN X 22 IN X 32 IN. GREAT FOR A WORKSHOP. (GAR) CONTENTS OF HANGING CABINET; CONTENTS INCLUDES CRAFTSMAN 18 VOLT CHARGERS WITH BATTERIES, 2 NEW IN BOX LED EXIT SIGNS, 2 OIL LAMPS, BOX OF BREAKERS, CRAFTSMAN 3/8 IN CORDLESS DRILL, ETC.